Nestling down into the pile of leaves clustered at the base of the tree, Lars folded his arms to tuck chilled fingers into warm pits. Alexander’s complaint reached Maria as she crossed the midpoint of the stairs. The creak of the ancient wooden staircase beneath her feet drowned out his next words, and it wasn’t until she approach his bedroom door that she heard him speak again. Emporium was quiet for a Saturday night, but then, it tended to attract a lot of Espers. Dunno why. Maybe they like the music. Maybe they like that the bar staff don’t ask How’s your day been? as soon as you pull up a stool. Maybe they just like the soft-light ambiance. Emporium wasn’t really my scene, but I didn’t feel as uncomfortable there as most simple, honest folk do. He stopped, stock still, on the gleaming barbed wire fence. The fourth spike was empty. Where was four micey? The docks smelt bad even at the best of times, but as she tottered down the wooden pier on her stupidly high heels, Detective Kitty Salva tried not to pull her face at the foul miasma of rotting fish and blooming algae wafting up from the water below. There were only two ways to smuggle dragons into Yew Nork City, and if they weren’t coming by land, they had to be coming by sea. “Tell us a story, Grandpa!” Talia begged. Her cry was picked up by the other children in the flock, a chorus of voices demanding entertainment. I like to think of drabble as the baby brother (or sister) of flash fiction. Where a flash fiction may run from a few hundred to a couple of thousand words, a drabble offers a more concise style of telling a story: 100 words or less. 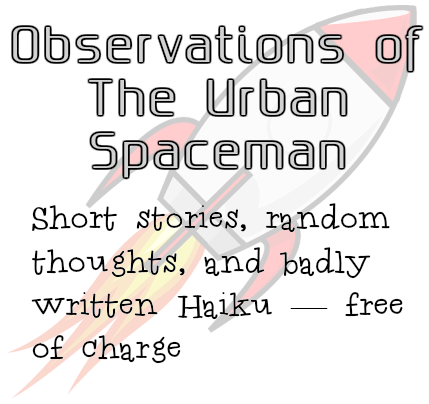 As I missed yesterday’s daily WordPress prompt, I’m going to incorporate it into today’s post, so you get two haiku instead of one!